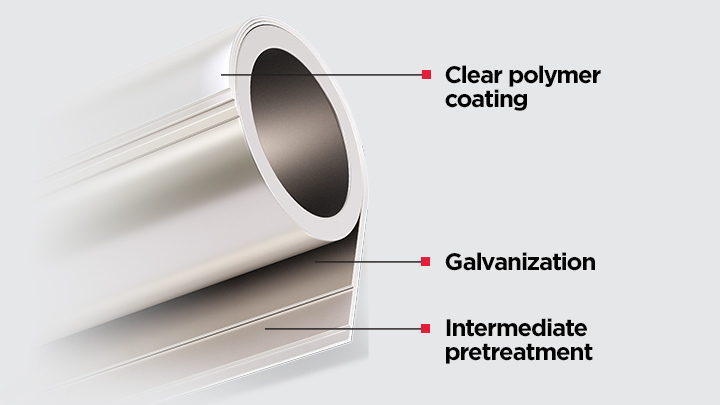 Wheatland Tube now manufactures pre-galvanized fence framework products for a range of common applications. They’re all readily available from our nationwide mills and can be co-loaded with our in-line and hot-dip galvanized fence products to streamline your ordering process. That’s how we MAKE IT eZ. Wheatland’s pre-galvanized fence framework products feature the same triple-layer protection as our in-line galvanized products. The intermediate conversion coating inhibits white rust, and the clear polymer coating seals in the protection and provides a smooth, lustrous finish. Our pre-galvanized residential fence framework provides long-lasting strength to keep residential areas safe. It’s ideal for applications ranging from homes to temporary pedestrian control. Wheatland’s PG-15 pre-galvanized steel fence framework is specifically engineered for light commercial jobs demanding minimum yield strength of 50,000 psi. Wheatland’s PG-20 pre-galvanized steel fence framework provides the high-strength performance and corrosion resistance that commercial and light industrial jobs demand. Wheatland’s PG-40 pre-galvanized steel fence framework features exceptional strength and corrosion resistance. Learn more about Wheatland's pre-galvanized fence framework.